Branson has welcomed the idea of four runways at Heathrow airport but admitted there would be “casualties”, adding that the government needed to be brave and take a decision in the national interest. He said he did not know if Monday’s calls by the Free Enterprise Group of Tory MPs for two more runways were realistic, and “We need more capacity, and if an airport review really takes into account the needs of Britain, it’s quite likely the review will say you need a couple more runways at least.” He seems to be making out that if Heathrow does not get another runway or two, people will lose their jobs anyway, so it does not matter if some lose their homes etc now. Chilling and depressing stuff. Amazing that in some circles the man is regarded as environmentally aware. Talk about self interest. The man is a menace. Sir Richard Branson has welcomed the idea of four runways at Heathrow airport but admitted there would be “casualties”, adding that the government needed to be brave and take a decision in the national interest. While the president of Virgin Atlantic said he did not know if Monday’s calls by the Free Enterprise Group of Tory MPs for two more runways were realistic, he said: “We need more capacity, and if an airport review really takes into account the needs of Britain, it’s quite likely the review will say you need a couple more runways at least. Speaking exclusively to the Guardian after his airline’s inaugural flight to Cancun (a trip hosted by Virgin Atlantic), Branson said constructing extra Heathrow runways would create thousands of jobs in the area and would mean less noise because the need for aircraft stacking, in which planes circle while waiting for a landing slot, would be removed. He proposed that noisier, older planes should be banned. Branson said his aircraft would be running on cleaner alternatives to current jet fuel within six years. He also criticised Justine Greening, the transport secretary, for delaying the publication of a planned airport review and consultation on hub capacity, which may now slip until the autumn. While a Tory U-turn on the runway looks increasingly likely, the local residents group Hacan has warned that MPs are “fighting the tide of history if they believe it is possible to build one, let alone two, new runways at Heathrow”. Campaigners noted that officially all three parties are opposed to expansion. Greening told the Guardian last week that she still planned to publish the aviation framework in the summer, a definition that included the return from parliamentary recess in September. 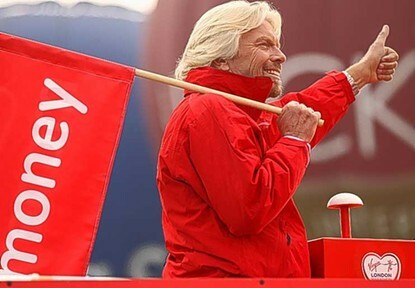 The Fair Tax on Flying group has urged other UK airlines and operators to follow Virgin”s endorsement of the APD campaign. Virgin announced yesterday that it would carry a message on Virgin Atlantic and Virgin Holidays e-tickets criticising Air Passenger Duty and encouraging passengers to petition their MP, see previous story. Simon Buck, chief executive of British Air Transport Association (BATA), said: “Sir Richard’s backing is a reminder of just how seriously this issue is taken by all airlines here in the UK and internationally. The overall APD tax increased significantly on 1st April 2012, after the Government implemented an 8% APD increase. The Treasury”s 2011 Budget documents also assume annual increases from now. Posted: Tuesday, July 10th, 2012. Filed in General News, Recent News.